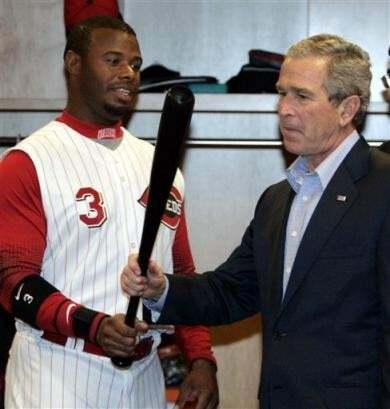 Griffey is angry over different comments Brantley made and said one of them was, "He said I'm pouting because the Reds haven't picked up my option ($16 million) for next year. If I was that concerned about money I wouldn't have come here in the first place." Brantley said he never said that and the subject wasn't broached until Brantley and Griffey sat down in the players dining room early Sunday, "And I think he's upset that I said something about the defense of the corner outfielders (Adam Dunn, Griffey)," said Brantley.